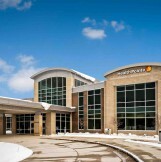 When AECOM architect Jim Boles and his team were designing Spectrum Health’s newest integrated clinical facility, Health Pointe in Grand Haven, Michigan, they were challenged with designing a facility that would stand up to the extreme cold. In addition to maintaining warmth, they wanted to integrate natural sunlight into the design, as its been scientifically proven that access to natural light enhances positive health outcomes in patients. To achieve these goals, Jim and his team chose YKK AP’s enerGfacade® products—the YCW 750 XT curtain wall and the ThermaShade® sunshade system. 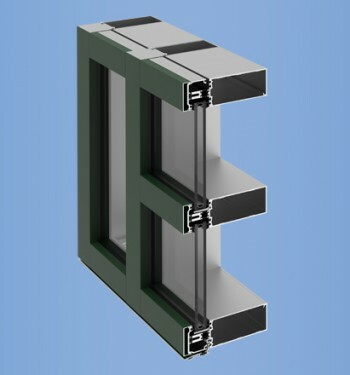 The enerGfacade line provides the highest level of thermal performance, exceeding even the industry’s most stringent green standards by cutting back on waste, controlling energy costs and simplifying installation. 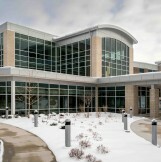 Initially, the biggest challenge was the curtain wall around the perimeter of the building due to the condensation resistance factor (CRF) requirements. 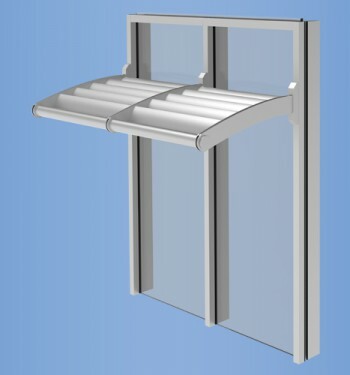 The combination of the YCW 750 XT curtain wall and ThermaShade sunshades addressed this issue by offering the best CRF and U-value. Architectural Glass & Metals served as the glazing contractor on the project, and was responsible for installation of the YKK AP fenestration system. Project executive Bryan Dennis recalls, “YKK was very attentive to detail in creating anchor conditions during the engineering stage.” Dennis said the engineering documents his team received from YKK AP helped in terms of efficiency when they were in the field as well. YKK AP handled all the shop drawings and developed 15 anchor conditions for the project, all of which were the perfect size and design for the building. 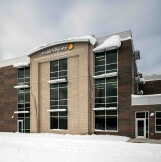 “To have a curtain wall manufacturer catch all of the different conditions was impressive,” continued Dennis. 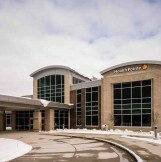 Health Pointe is scheduled to open in March 2018 and will provide ample sunlight, comfort, and warmth to its patients as they undergo treatment.